No arrests have been made and investigations are underway. Two men found dead last month in a cave in the west of Pretoria were reported missing in Atteridgville in April, reports Pretoria Moot Rekord. 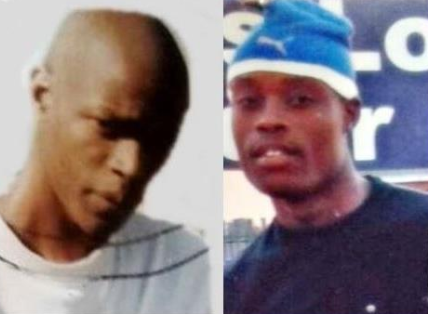 Police spokesperson Constable Tumisang Moloto said they were identified as Andrew Manthata, 31, and Tebogo Mabusela, 36. The pair was found on a farm in Schurveberg on May 21. The farm owner’s daughter, Tina Avanezis, discovered them in the cave. A third man was found by the police in a search-and-rescue operation the day after. He was identified last month as Lukas Ntshabeleng, 45, from Lotus Gardens. Moloto said police had opened an inquest docket and were still waiting for forensic reports. According to the missing people’s organisation, Pink Ladies, Manthata and Mabusela were last seen on 24 April when they went to pray in the veld. “They were seen by a friend at the Shell garage in Atteridgeville,” said the Pink Ladies.